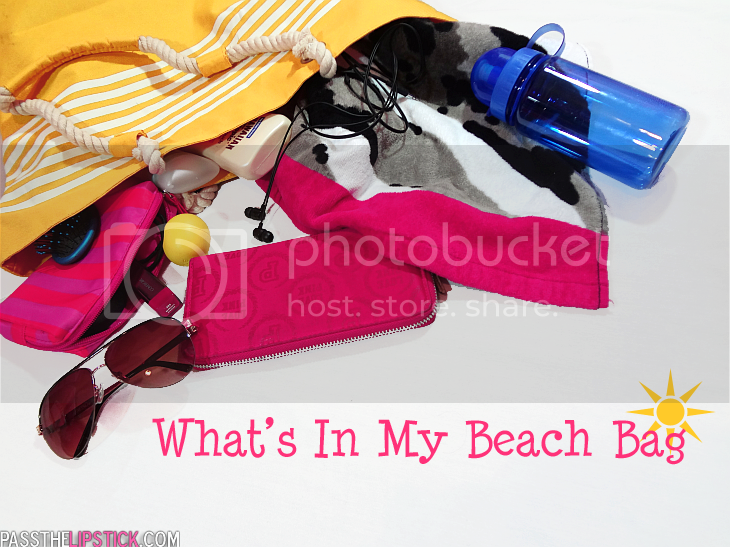 What's In My Beach Bag 2015. With the end of Summer near, it's time to fit in the things that we've been wanting to do all season.. and there's nothing like hitting the beach for the last few times! With that said, here's a look inside my beach bag. My phone.. because who can live more than 5 mins. without a phone these days? Headphones to listen to my favorite songs while laying on the beach. This Hawaiian Tropic Sheer Touch sunscreen smells amazing and gives you a little shimmer while keeping you from burning in the sun. Deodorant because Summer = sweating. A cute pair of sunglasses. A makeup bag to hold all of the important stuff. eos lemon drop lip balm with SPF15 to protect the lips(also smells and tastes like Summer aka lemonade). Hair ties to keep my hair out of my face. 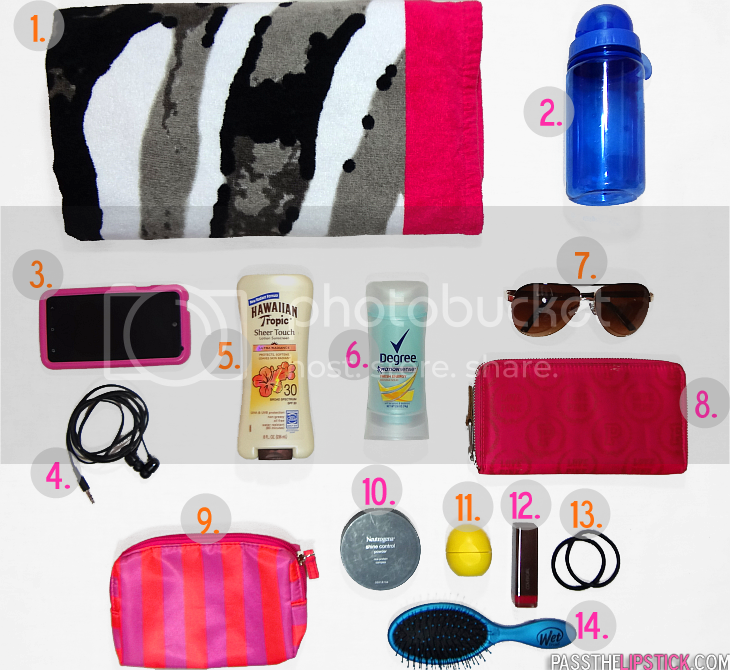 What's one of your beach bag must-haves? Hey I mentioned you in my blog post.